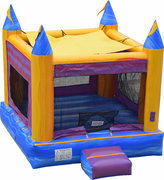 Bounce houses are the "go to" party inflatable rental, and for good reason: they provide hours upon hours of fun and excitement for kids of all ages! We carry an exciting selection of fun, clean, and enormous Waco bounce house rentals, and our selection of themes is sure to include something that is just right for your next party or event! 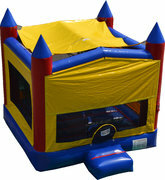 All of our bounce house rentals feature a large play area for bouncing, large windows on all sides of the unit, and a safety step at the entrance, as well as an outside hoop. 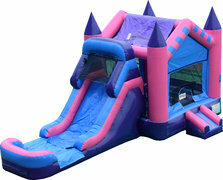 You can't go wrong with a classic bounce house, and we at Wace Bounce House Rentals have you covered. Reserve yours today!